Our story begins in 2008, when a pair of glasses purchased from a large, "price-fighting," nationwide retailer that cost an outrageous $517 inspired the idea of Visio-Rx. Some people may find $517 an acceptable amount of money to pay for a pair of glasses. But is it? To put it into perspective: a new computer, which consists of infinitely more working parts, can be bought for less. Meet Rudi, the founder and president of Visio-Rx, who knew that there had to be a better, more affordable way to get glasses. After browsing online for a pair of back up glasses, he realized that most online optical shops also couldn't get it right. Rudi's main thought was that customers shouldn't have to sacrifice quality and service just to get a low price, but they shouldn't have to break the bank in order to get a complete product either. 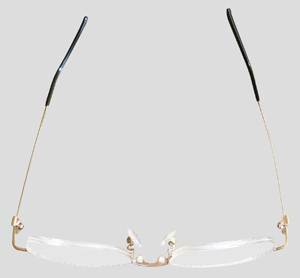 The glasses which started it all: Safilo titanium frame + 1.67 Nikon freeform progressive lenses = $517. 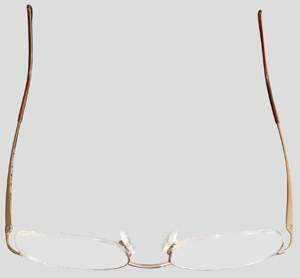 A similar frame and lenses will now cost around $100 at Visio-Rx; that's a whopping $415 savings on 1 pair of glasses! Here is a replacement pair bought on the internet. Note the strange "China style" nose supports. Lenses are very thick. The progressive lenses are poor quality (intermediate zone does not work). Lenses are not cut with the latest technology. Rudi's solution? "If they can't do it right, I will." Drawing on 25 years of international business experience, having lived in Europe and the USA, with extensive experience in international business and using a worldwide network of business contacts, Visio-Rx was born. Rudi recruited his daughter Faye to help out, and together they set off to change the world of purchasing glasses online. Fixed shipping per order, not per frame. 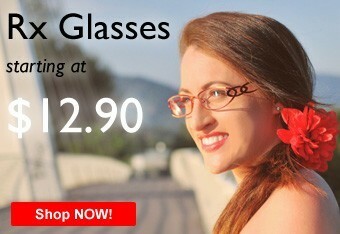 Offering a complete pair of glasses at the most affordable prices possible. We have websites in the USA, Germany, France, Italy, Spain, the Netherlands and Poland. Our frames and lenses are of outstanding quality, and we take the utmost pride in delivering high quality products at unbelievable prices. A team of specialists on an eyewear mission. Every price you see on our website represents an all-inclusive package: the frame, single vision lenses (index 1.5 or 1.57), ALL coatings, a hard case, microfiber cloth and repair tool in the colors of your choosing, a key ring and the Visio-Rx guarantee. No surprises at the end. Welcome to the Visio-Rx difference!